Whip up a batch of these super vanilla cupcakes for Mother’s Day or afternoon tea – the vanilla bean frosting is the best we’ve ever made! 1. Using an electric mixer, cream butter and sugar. Add the Queen Vanilla Bean Paste and mix well. Add eggs one at a time and beat lightly. Add sifted flour and milk in two batches, stir with a wooden or metal spoon, until just combined. Spoon into 12 muffin cases and bake for 15-20 minutes at 180C. 2. To make the frosting: using an electric mixer, beat butter until very light in colour. Add the Queen Vanilla Bean Paste. Add sifted icing mixture gradually, beat after each addition. Add the milk and beat to combine. Spread over cooled cupcakes and enjoy. Vanilla? Chocolate? 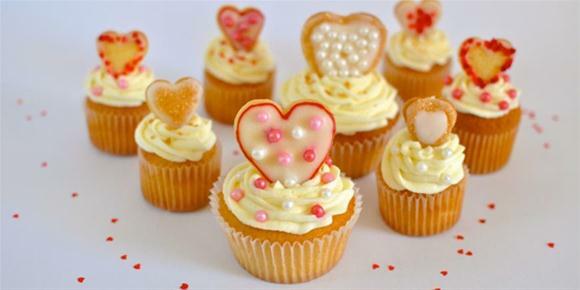 What’s your favourite cupcake?